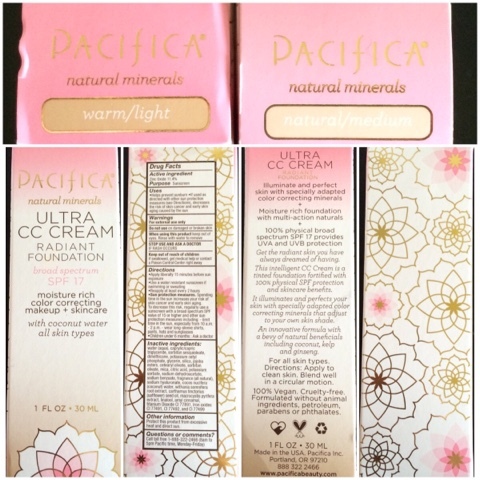 A while ago I picked up a few different products from Pacifica at my local Target. 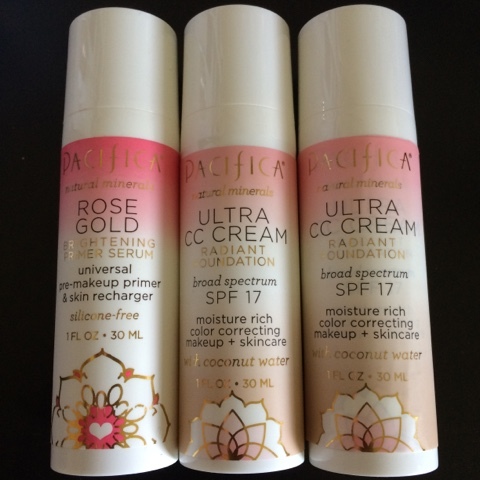 These products included their Ultra CC Cream in both shades (medium & light) and their Perfecting Primer Serum. I've been revamping my makeup stash the past few months to include a majority of cruelty-free products, and something for my face was as the top of my list. If I can find something natural, kind to the environment and my skin, and still gives me some lasting light coverage - I'll be in heaven. This is what the three bottles look like. They're all the same, just different labels. 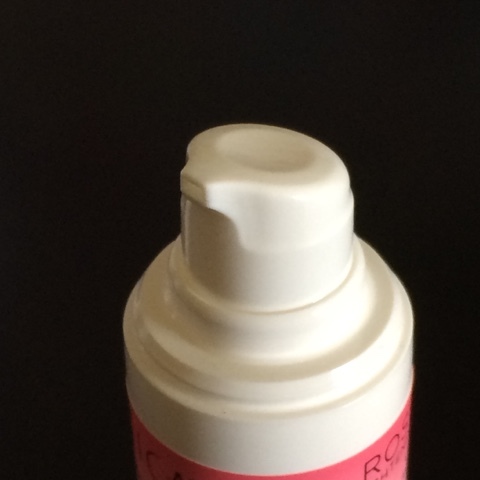 What drew me to this primer the most was that it is silicone-free. My pores clog easily, and silicone makes it so much worse. This primer (as well as both foundations) are alcohol-free, which if you're a frequent visitor to my blog or Instagram, you know I am allergic to and will develop cysts from. There are no potential acne triggers or sensitive skin irritants in this primer, so I was even more excited to try it out. All three bottles have this great pump top - I love it! So easy to use, and nearly mess-free! I'll be honest, when I saw the words "Primer Serum" I did expect a thinner fluid-like product, but this is far from what I expected. This is basically straight-up oil. The glycerin is too thick to allow this product to be comfortable for any skin type that isn't a cousin of the desert. It made my skin look very glowy and healthy, but I had to go over my face several times with cotton pads to get my face to a point where I was comfortable applying something over this. My skin is oily during the summer, so I was very nervous about how this would work, but I'm also curious how it will work for me in the winter when my skin is dry. 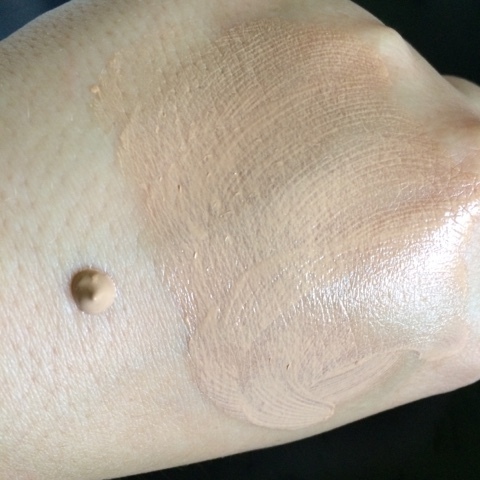 I always have high hopes for foundations that claim to work for all skin types. My skin varies from dry in the winter to oily in the summer, and while I can easily find correlating foundations to suit each skin type, I like having something available that can match my skins' mood swings. 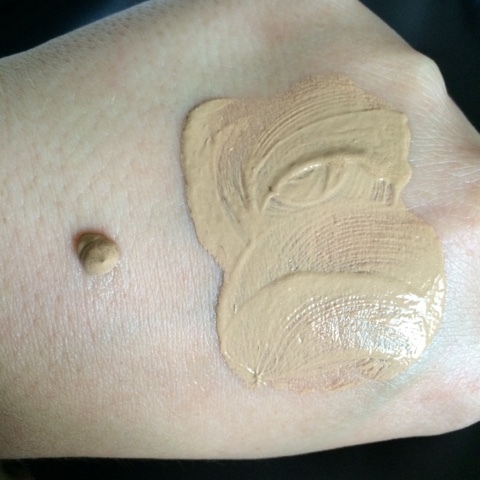 Both shades of this foundation are supposed to blend to match most skin tones closest to each specific shade. I purchased both to see how they worked with my skintone. There are only two potential (and very low) acne triggers in this foundation, which is not a bother to me. As far as foundation (and sunscreen) goes, this isn't bad at all. My first irk about this foundation is the packaging. Not the packaging itself, but if you go back up and look at the shades on the box tops, the light foundation clearly looks darker than the medium. This is reason I ended up purchasing both to see how they looked - it was so confusing! Based on the box, I tried the Medium foundation first and it was way too dark for me. Even with my "summer tan" I couldn't get it to blend out light enough to look natural against the rest of my body. So, I tried Light, and even that looked too dark at first, but it quickly changed and lightened up to my actual skin color. This is a very thin formula, but it is thick enough to hold it's form while you're working with it - unlike the primer. The foundation was a bit slick, but but seemed to set up ok on my skin. 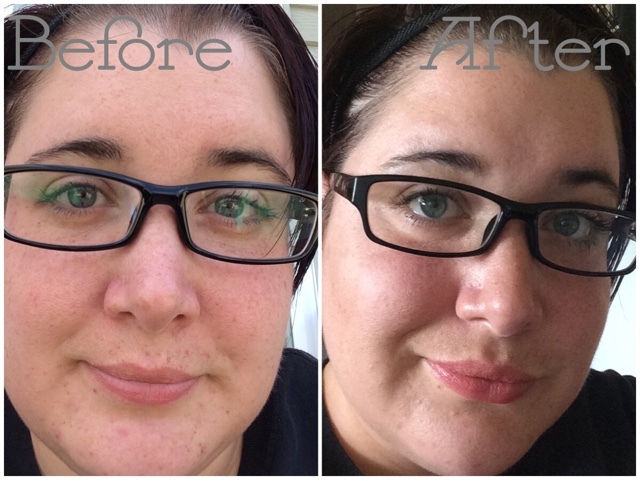 As you can see from the before and after - this foundation offers very light coverage and looks very natural. It blends out seamlessly, it was virtually undetectable on my skin once I applied a little powder. The primer left my skin looking dewy and bright. The light really reflected off of it just right and made my skin look so healthy and youthful. So, how did it hold up throughout the day? This became difficult to photograph, but after setting my makeup, my son and I made a trip to the grocery store and ate a couple sandwiches at the park, then returned home. We were out for two hours, it was warm, but not humid. I was not sweating. 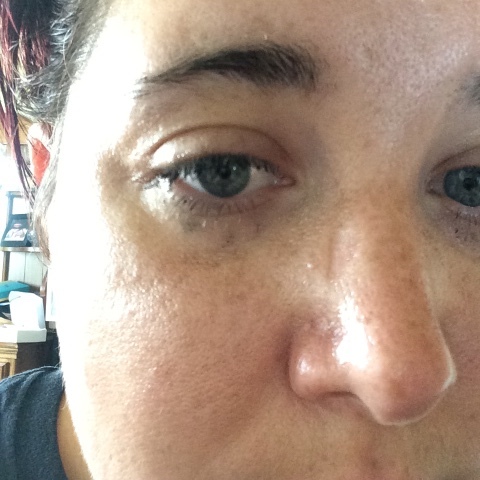 Above you can see that the oiliness of the primer was enough to break down my waterproof mascara on my lower lashes. 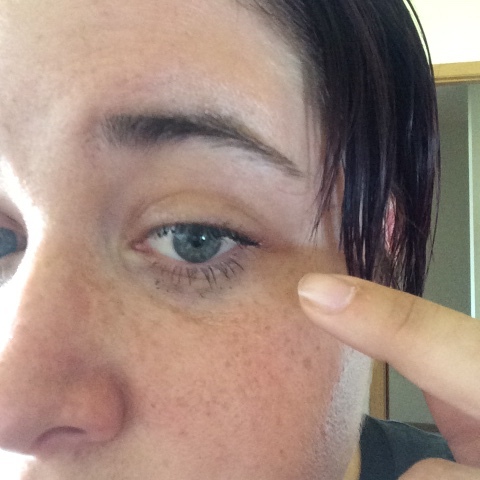 Same on this eye, and you can see a bit of the oiliness and greasiness from the primer taking over my face. This primer made my face a disaster. It broke down the foundation, and my waterproof mascara, and made my skin look like it had been sprayed with vegetable oil. 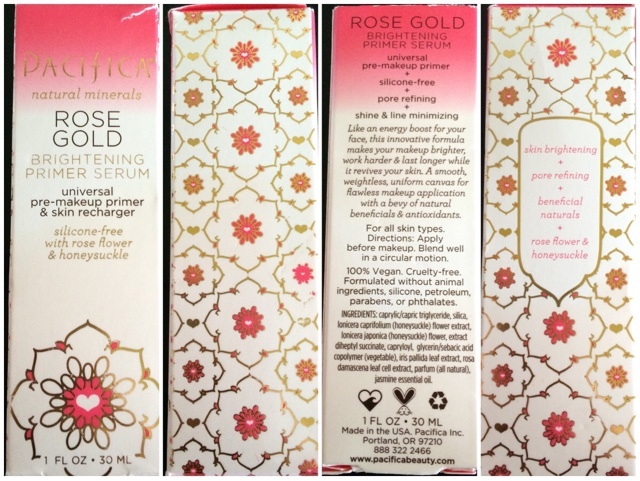 I give the Rose Gold Brightening Primer Serum a 1/5 - just because the ingredients list looks great and it might work if I had dry skin. 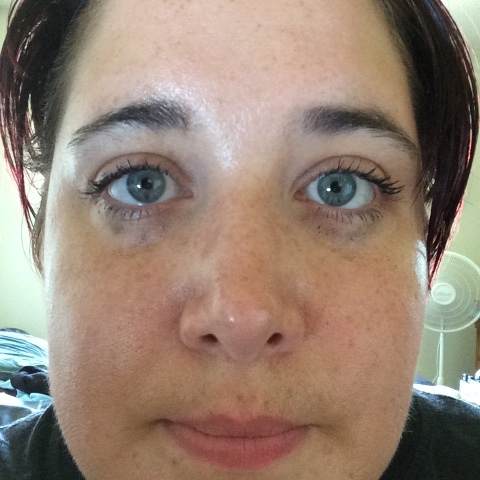 I give the Ultra CC Cream Radiant Foundation a 3/5 - it blended out flawlessly and made my skin look bright and even, but it offered no real coverage for being a "foundation" and not just a cc cream and it disappeared off my face after a couple hours. I'll revisit this ranking if I find it works better without the primer.